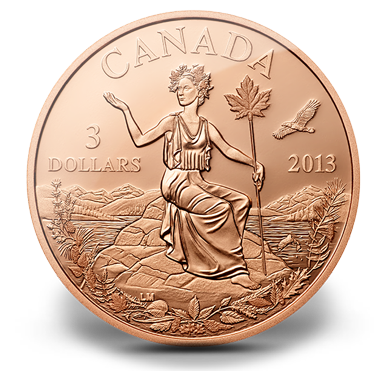 Mid-Island Coin Club (MICC) is a member of the Royal Canadian Numismatic Association. MICC holds monthly meetings at 6:45pm on the second Thursday of the month at the ABC Restaurant, 6671 Mary-Ellen Drive, North Nanaimo, B.C. Each meeting consists of a business section, education segment (ie guest speaker, videos, and member talks), a 50/50 draw, member displays, dealers table, and a member's swap and trade, along with wheeling and dealing, and the ever-popular. great mid-island coin auction. If you wish, arrive early and order dinner prior to the meeting. Why get involved with the MICC ? MICC is very fortunate to have a wide range of experienced members within its club. 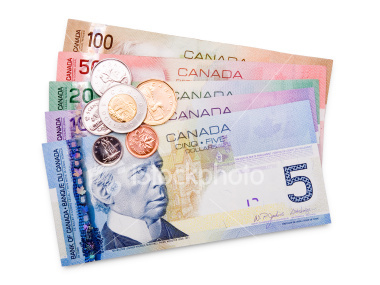 We welcome questions related to any form of numismatics (ie from Canadian or world banknotes, Canadian or world coins, tokens, medallions, wooden currency, to the displaying of coins and paper money. Members can point you in the right direction when looking for information on your coin or paper money. To obtain answers to your questions, we welcome you to attend one of our meetings and meet a room full of friendly collectors who will answer all your questions in person. Many people have a few coins of interest in their homes given to them by family, relatives or friends. These coins may be tucked away in a box or drawer. Meeting with others who are interested in the same hobby is an excellent way to learn about the value of your collection. You will also learn how to store your collection to best protect your coins and banknotes from losing value due to handling. Have we sparked your interest? We welcome you to attend one of our monthly meetings held on the 2nd Thursday of each month. "The Royal Canadian Numismatic Association is devoted to serving those who enjoy coin collecting/numismatics by promoting fellowship, communication, education and providing advocacy and leadership for the hobby." 6:45pm on the second Thursday of each month at the ABC Restaurant located at 6671 Mary-Ellen Drive, North Nanaimo, B.C. . 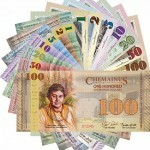 The Chemainus Dollar ($) is a community currency created in 2010 by the Chemainus Monetary Foundation. It was unveiled on April 23rd to an overflowing crowd and an enthusiastic reception. The CMF is very proud to create Vancouver Island’s first local currency - joining over 5000 community currencies around the world. Our "Mission Statement" is to promote interest in numismatics through education of our members. Encourage members to conduct research on history and geography as it relates to numismatics. Provide a forum for discussion and exchange of numismatic knowledge through regular meetings and a club newsletter. Support the hobby of numismatics and to cultivate social relationships among its members. How the Mid-Island Coin Club all Started! 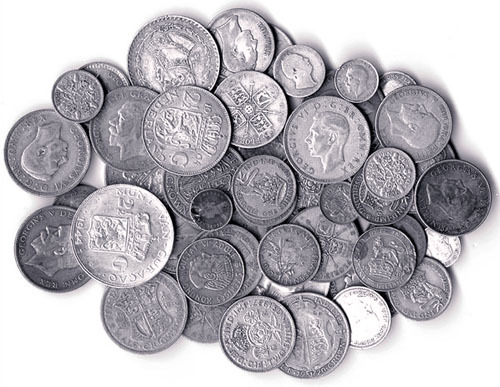 On a cold December 11, 2001, nineteen individuals gathered at the Pizza Hut restaurant in Nanaimo, BC for hot food and to discuss their shared passion of collecting coins. Before the evening was over, sixteen memberships were signed, three of those being husband and wife memberships. Thus began the Mid-Island Coin Club (MICC). Over the years the club membership has grown to more than fifty-five members, with twenty-five to thirty members regularly attending meetings. The members range in age from 12 years to eighty-plus years. Collectors’ interests range from ancient coins (Greek and Roman) to all years of Canadian, US, and world coins (Britain, Europe, and Asia) as well as errors and varieties of paper money and coins. Club members possess an impressive knowledge base and can answer questions on just about anything. The MICC holds meetings on the second Thursday of each month. These meetings also serve as a social event and dinner can be ordered for those who wish. Activities discussed may include any combination of the following: trade, buy and sell, show and tell, guest speakers, and the ever popular, Great Mid-Island Coin Auction, an event not to be missed! May 9th, 2019 is our next MICC Meeting. Be sure to mark your calendar for this event! We welcome your comments about our website. Use our contact link to forward any suggestions you may have to improve our website, or any comments you wish to pass on. Your input will be greatly appreciated. Thank you for visiting our site.